I started fashion blogging in 2009. 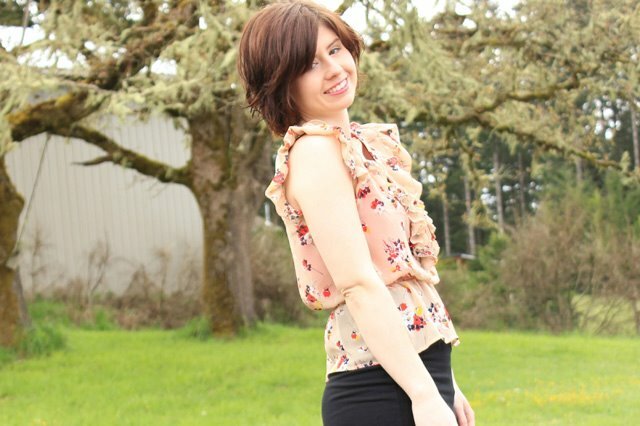 I was a junior in college and posting (really bad) pictures of my outfits was a natural progression of my blog. I had started following some of my still-favorite bloggers. That summer, I discovered two of my absolute favorite bloggers of all time -- Charlotte and Sian. Both of these ladies made me really love fashion blogging; the sense of camaraderie and community made it incredibly appealing. Beyond that, I was at a time in my life where I needed a lot of reassurance and emotional boosting and fashion blogging fit that spot perfectly. I kept posting outfits through my senior year of college. 2010-2011 were really the best years of my fashion blog. I felt incredibly good blogging about my outfits and it gave me a lot of self-confidence. I've really comes to terms with what happened to my fashion blog: my life changed and my blog needed to change, but I wanted what I had back. Fashion blogging stopped being what I needed to be happy, but without it, I really struggled without my confidence. I did have the constant reassurance I used to have and without it, I didn't know how to feel good about myself. That's bad. You shouldn't depend on a blog to make you feel good about yourself. Something had to give. I've been incredibly happy and positive since changing the direction of my blog -- and part of that meant leaving that entire world behind. I used to have an incredibly hard time imaging myself leaving my blog behind. After I did it though, I felt incredibly free; I felt like I could move away from the way I used to look and focus on loving myself in the body and life I have now. Both of my blogs are still available to anyone who wants to read them: Locked Out and Ellipsis. However, there are times when I really, really miss fashion blogging. Here's why. 1. The sense of community. Like I said, the sense of community in fashion blogging was something that made me really love it. Sometimes, I really miss the easy ability to find lots and lots of girls writing about the same thing as me! However, so much time has passed in the blogging community; in the past few years, blogging has become really monetized and no one really seems to fashion blog just for the fun of it anymore. Everything is about how to get more followers, how to get money, how to get sponsorships. I miss the fashion community between 2010 and 2012 -- it is something I still, still miss. 2. The focus on photography. I loved taking my outfit photos! It was a chance for me to improve my photography skills, learn what worked and didn't work, and show off a cute outfit in the process. I really miss working on my photography and I miss having a diary of my daily outfits. Honestly, what's easier than photographing an outfit and posting it? It was so easy! There are definitely weeks where I struggle with what to post, what to include what to write about. If I was still fashion blogging, there would be no question. Post an outfit -- boom! Easy! Done! Like I said, I got a lot of confidence from fashion blogging. I really miss that confidence boost sometimes! On bad days, an outfit post would give me what I needed to remember that I was talented, pretty, and worthy. Now, I have to find that within myself -- and while that is emotionally healthier, sometimes I just want the easy way!